Learning the history of the United States from the 1950s to the present helps students see how trends in various social movements, many of which began in the in the USA, have been affecting the globe in radical ways since before these were born. 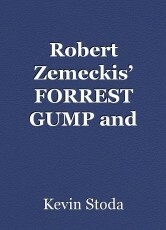 The social issues or individual concerns discussed in the movie, Forrest Gump, make the movie a good source for introducing culture in a motivating way. Although the issues are in some ways universal, the special American nature of many of the staged settings of the film Forrest Gump help Non-American students understand an even wider range of American feature films in which many similar issues arise. This is important because American cinema has been dominating world cinema in recent decades leading up to this new millennium. entire running episode of handicapped Forrest might also allude to American heroes, like Glenn Cunningham. documentaries, and such popular features as Forrest Gump.